I have only anecdotal evidence to support the aforementioned claim: heard it from several people in my youth and believe to have experienced it myself, but that might be placebo. Some quick googling yields a handful of forum messages and health-related articles warning of cheese alone, but nothing in combination with red wine. Is there any ingredient in red wine that would hint to the possibility of increasing the cheese's effects? The histamine? Some MAO-inhibitor? Also, what's going on with the cheese? Is it the tryptamine? Also, which ones are to be avoided? The forums conjured up by google advice against cheddar and similar, the old wives' tales I heard in my young days warned of any kind of mature (i.e., smelly) cheese. Does Cheese affect our dreams? The answer is a BIG “yes”. Cheese contains tryptophan – an amino acid which has been found to lower and relieve stress and also acts as a mild sedative that induces sleep. People who eat food high in tryptophan yield a higher dream recollection rate and more vivid dreams. Cheddar cheese contains 0.32g Tryptophan per 100g cheese.2 Cheese, mozzarella, part skim milk, low moisture Tryptophan: 603mg Different types of cheese contains different amounts of it, but overall cheese is high in tryptophan amounts. 1g is enough to show effect. The weight of evidence indicates that L-tryptophan in doses of 1 g or more produces an increase in rated subjective sleepiness and a decrease in sleep latency (time to sleep). Dr. Servin Díaz notes that when tryptophan is digested through food or beverages, it is converted into the sleep-inducing substances serotonin and melatonin. Together, serotonin and melatonin both help slow down the nervous system, helping the body relax and prepare the body for sleep. People who lack proper sleep suffer from sleepiness, irritability and have shorter attention spans throughout the day. The effect of tryptophan seems to be fairly well documented. And cheese contains fairly high amounts of tryptophan. This does help to sleep, and tryptophan is remade into melatonin which increases chance of dreaming. So Tryptophan can be turned into melatonin, which then makes you dream more. Some supplemental melatonin users report an increase in vivid dreaming. Extremely high doses of melatonin (50 mg) dramatically increased REM sleep time and dream activity in people both with and without narcolepsy. It has been suggested that nonpolar (lipid-soluble) indolic hallucinogenic drugs emulate melatonin activity in the awakened state and that both act on the same areas of the brain. On to the part about alcohol increasing chance of nightmares. Drinking red wine and other alcohol not only disrupts the second half of your sleep time, it may cause you to have bad or unusual dreams. You cannot experience deep quality sleep until the alcohol leaves your body. Therefore, you may have strange dreams as the alcohol leaves your body and the REM dream state interferes with the deep sleep state that the alcohol was preventing. Summary. - In a sample of 78 female alcohol and drug addicts 24.4% marked True the Item 31("I have nightmares every few nights"). This is for both drug users and alcohol users. While alcoholics MIGHT have nightmares of other reasons like post traumatic stress disorder which is a common reason to turn into alcoholics in first place, the number is so much significantly higher, at least as circumstantial evidence it's of interest. 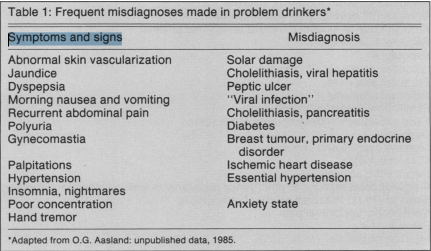 Early Identification of alcohol problems have nightmares as a symptom of high usage of alcohol. Later on it lists Insomnia and nightmares as indications of alcohol problems. Alcohol seems to have effect on nightmares, but what about red wine specifically? Red wine will increase risk of nightmares if it's drunk in high amounts, near sleep time, but what about just drinking red wine in moderate amounts? Except for anecdotal evidence I found nothing proving that. Eating cheese seems to increase chance of you having dreams, since it contains high amounts of tryptophan, which is an amino acid that is sleep inducing, and increases chance of remember the dreams. Alcohol seems to increase chance of having a bad dream as the alcohol leaves your body. But mainly if drunk in greater amounts. This mix means you have higher chance of having a vivid and strong dream, and higher chance of having a nightmare. Not the answer you're looking for? Browse other questions tagged nutrition psychology neurology . Does eating cheese help one to fall asleep or have a sound sleep? Does eating grains cause alzheimer's? Does Charles Shaw wine contain animal blood & feces? Do “nightshades” and tomatoes cause inflammation? Does “midbrain activation” cause clairvoyance? Does Marmite improve the brain?